A tick-box approach to the scorecard for the Revised Codes of Good Practice for Broad-Based Black Economic Empowerment (B-BBEE) will not normaliseour society and fix past socio-economic injustices with the urgency it requires. Social unrest is a symptom of the vast disparities and the poverty that exists in South African society, and a fixation with compliance to the B-BBEE scorecard will not create the jobs and wealth at a pace and scale that South Africa so desperately needs. Given business’s central role in achieving transformation as a national economic imperative, the Department of Trade and Industry (DTI) would do well to take on a more collaborative ‘carrot approach’ to business versus the ‘stick approach’ that many private sector players have experienced to date. The essence of transformation as laid out in the B-BBEE Act of 2003 – to transform South Africa’s economy and bring about meaningful participation in it by black people – has been side-lined by the technicalities of compliance. This tendency was further entrenched when the B-BBEE codes of 2007 were substantially amended in October 2013 and became compulsory from 1 May 2015. All stakeholders agree that meaningful job creation and economic growth in South Africa will come from the small and medium business sector. Furthermore, because Enterprise Development (ED) is recognised in the codes as 1% Net Profit After Tax (NPAT) and Supplier Development (SD) as 2% NPAT, companies are bringing enterprises as suppliers into their supply chains far too quickly. This practise assumes a steady stream of enterprises that are fully scaled and adequately prepared as suppliers, when in fact, they are not. It has only proved costly, compromised efficiency, placed businesses at risk and thwarted the success of small and medium black-owned businesses. In implementing ESD, supply chains and business operations cannot be disrupted. This makes it imperative for ED and SD to be considered by a businesstogether. They cannot have different objectives, different measures and different strategies just to meet compliance requirements. This will only see ED and SD go in different directions and compromise the competitiveness of the big business and the success of the emerging enterprises or suppliers. The function of developing enterprises into suppliers must align with the strategic needs of the business. Therefore, ESD must have the full buy-in of company leadership teams. CEO, CFOs and CPOs need to understand exactly how supplier diversity adds value to their supply chains and makes their business more competitive. It is not something that can be simply delegated. Businesses we work with want their workforce, suppliers and partners to reflect society because they want a strong economy. In embracing the B-BBEE codes, and achieving success in ESD, their focus has been less on compliance and more on building enterprises as a funnel for their supply chains; on building the best suppliers; and on creating supply chains that have the full mandate of their procurement teams. Identify where the future opportunities lie. In turn, they are able to identify and build SMMEs that meet the current and future needs of the supply chain. And, they can develop joint B-BBEE scorecards while building strong enterprises and suppliers. To expand the economy meaningfully, strategic supplier development must focus on developing suppliers that add value to the business and not on getting more points. Then, suppliers must be evaluated according to the same criteria and benchmarked against both best practice and each other. No one supplier should be given preference over another. Transformation and business success go hand-in-hand. Transformation is not a business function, it is the future of an organisation; it is not a short-term development intervention, but a long-term strategic business fundamental. It is a pity this ethos did not underpin the DTIs BEE drive with business from the start. It is well accepted, and welcomed, that the revised B-BBEE codes address fronting, which saw a relatively small number of black and white business people benefit hugely through superficially constructed broad-based groups in empowerment deals. We look forward to hearing from the BEE Commission that was set up to monitor and evaluate fronting. We also look forward to seeing big business supply chains sustainably and progressively transformed to reflect the demographics of South African society. Donna Rachelson is Chief Catalyst of Seed Academy, a for-profit social enterprise focused on transforming the South African economy through entrepreneurship. She is active in the entrepreneurial ecosystem in South Africa where she has invested in startups; assists entrepreneurs to get traction and is passionate about the development of women entrepreneurs. 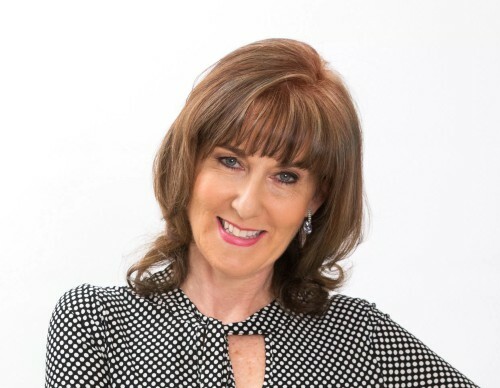 Donna is also a branding and marketing specialist, author and a well known speaker. Shawn Theunissen is head of Corporate Social Responsibility at Growthpoint Properties and the founder and manager of Property Point, Growthpoint Properties’ enterprise development programme. Shawn’s diverse enterprise development expertise includes designing and implementing business support services; creating market linkages between SMEs and large corporate entities; and providing capacity building support, and process and learning journey facilitation.